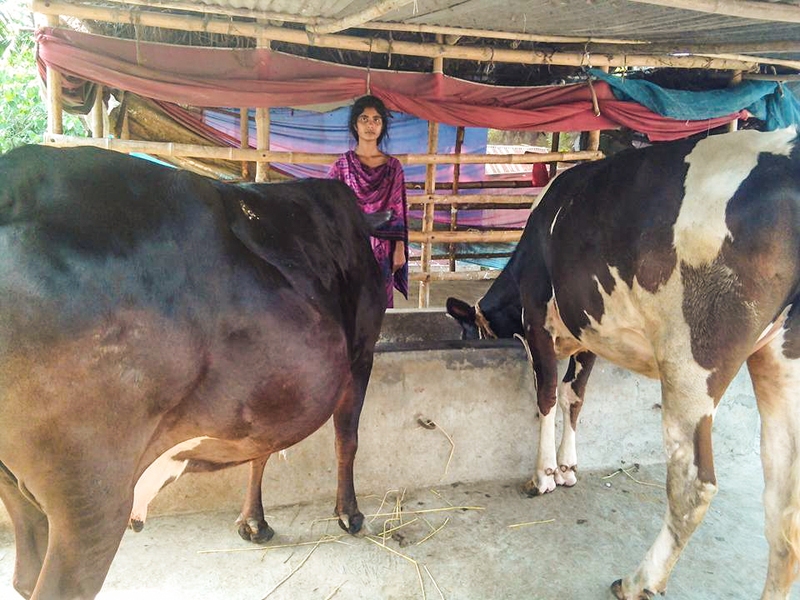 Small-scale cattle-rearing generates income, spurs entrepreneurship and is an excellent opportunity for young people, especially women, in Bangladesh. But without technical knowledge, business acumen, access to extension or credit support, many young people are reluctant to try it. Recognizing both the opportunities and the constraints, three small local NGOs — the Association for Rural Mission, the People’s Development Foundation and the Ashraf Foundation — requested volunteer technical assistance from the USAID Farmer-to-Farmer (F2F) Program to improve their staff and young farmers’ knowledge and skills in cattle-rearing. Farmer-to-Farmer volunteer Dr. Daniel Miller checks a dairy cow. 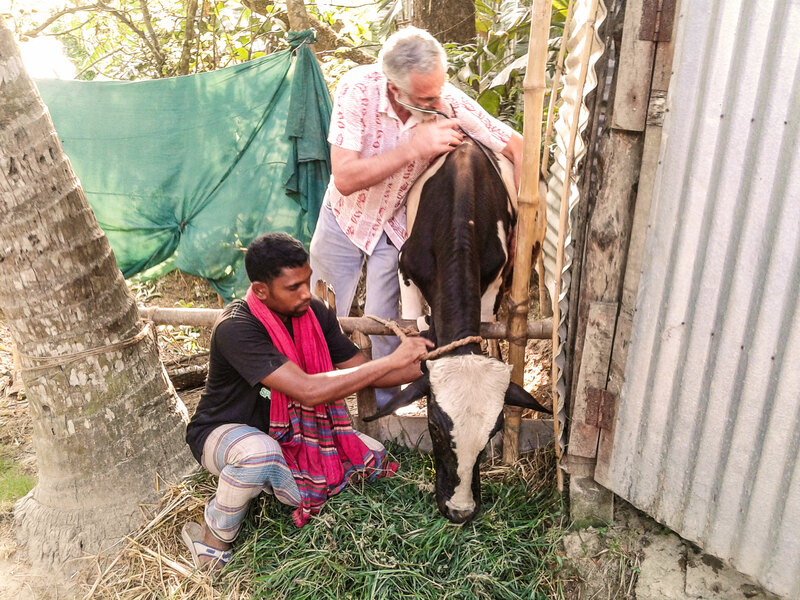 In response to this need, F2F volunteer Dr. Daniel Miller trained 10 NGO staff and 56 youth (more than half of them women) in the Khulna and Jessore districts on improved dairy cattle-rearing for entrepreneurship development. This enhanced the NGO’s capacity to promote improved small-scale cattle-rearing as a business among young people in the area. “Along with many other topics, we have learned about improved cowshed design, proper feeding techniques, the importance of 24-hour access to safe drinking water for animals, hygienic milking, the importance of allowing calves to feed on grass and grain at early age, record-keeping, etc. from the Farmer-to-Farmer training. Now, we are disseminating this useful information to our women youth beneficiaries to develop entrepreneurs in the livestock sector,” notes Ashish Halder, the executive director of the Association for Rural Mission. After attending the training, NGO staff disseminated information to 22 other staff and 4,426 farmers, including 3,600 young people (97 percent women). The NGO staff follow up on the progress of the youth cattle-rearing activities every week, addressing problems and suggesting solutions, such as growing Napier and Para grass in about one hectare, and keeping simple financial records to track the cost benefit of their cattle businesses. 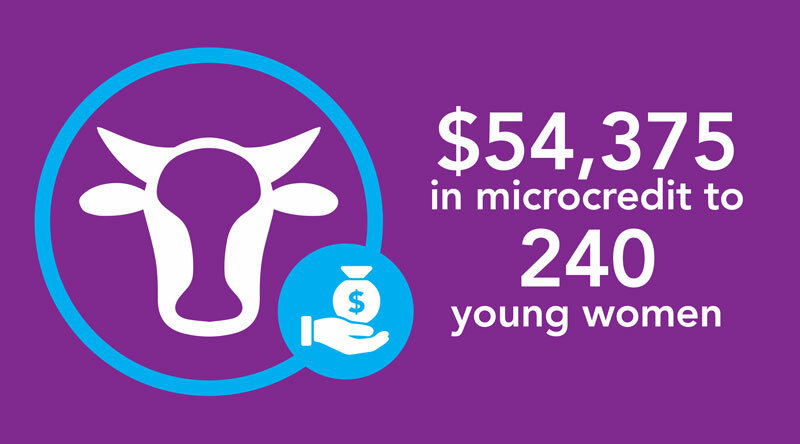 The NGOs also disbursed $54,375 in microcredit to 240 young women to support their cattle-rearing businesses. This is the first time that the organizations provided financial support to the livestock sector. The technical assistance and microcredit support from the NGOs has improved performance in cattle-rearing and increased interest in this profitable activity. Of the 56 young farmers who attended Dr. Miller’s training, 31 are now practicing dairy farming as a business and the rest are planning to start soon. 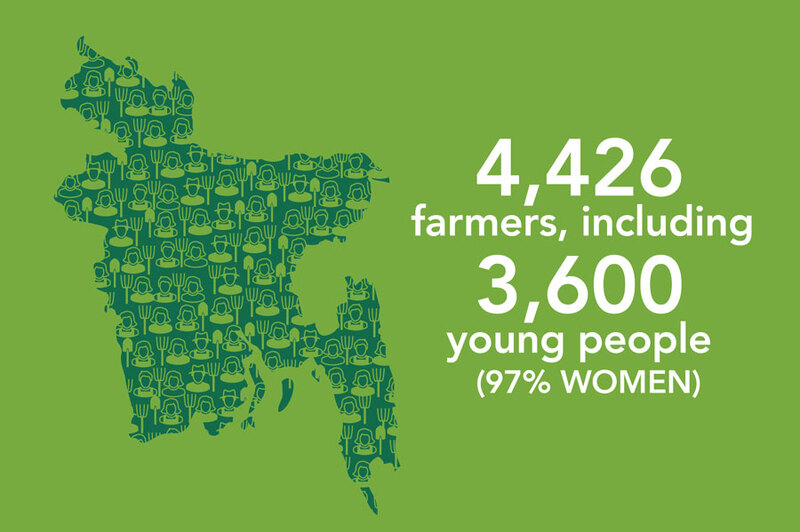 Sixteen of them are raising cattle and generating income for the first time. Altogether, they have increased their income from $753 to $7,202 in one year. This has encouraged and inspired other young people in the area.